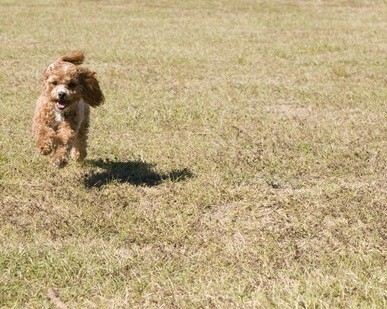 You can find poodles for adoption at animal shelters and rescue organizations across the country. Pet rescue adoption allows miniature, toy and standard poodle adoption and poodle mix rescue. You can adopt puppy or an adult dog. They are in animal and rescue shelters for a lot of reasons. A shelter dog does not necessarily have behavior problems, health issues or unwanted or undesirable problems. They unwillingly end up in shelters or at rescue associations. They don't want to be there, and it's not their fault they are there. Some poodles and poodle mixes end up in shelters due to the economy, and their owners not being able to afford regular grooming, supplies or veterinary care for them. Others move and cannot take their dogs with them. They are then placed at a local shelter. Poodle adoption gives people the chance to adopt a loving dog, give it a home, and bring love, joy and companionship into their lives. Depending on the shelter, you will find standards and small dogs for adoption including toys and toy mixes. 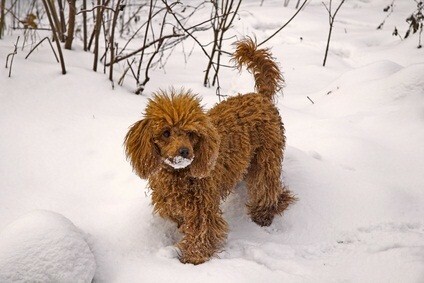 Rescue associations offer mixed breed, toy, miniature, and standard poodle rescue. Some shelters offer free pet adoption while others charge fees for getting, and taking home, your dog. Below you will find dogs who are in desperate need of a loving, stable home. We encourage you to adopt a poodle, and encourage you to tell your family and friends about these adorable dogs looking for homes. Won't you adopt and rescue standards, toys and minis today? Spread the word to help these lovable, sweet, and intelligent animals find families where they are wanted and loved. Poodles have a lot of love to offer the right person. They are loyal, easy to train and have a great sense of humor! So find your best friend today, and give him or her a loving home. Did You Adopt A Poodle? Tell Us! Share your story of how, when, where and why you adopted your dog.